If the Ford name is one that you trust, yet you do not want to buy brand new, you can look to Carson Cars when you want to browse through used Ford cars for sale in Kirkland. As a trusted used car dealership, you are always going to have a great experience when you work with Carson Cars for the purchase of the next new to you vehicle that you want. Being a family owned and operated used car dealership that has been in business for nearly 50 years, Carson Cars has all of the experience that you could ever ask for. Any vehicle purchase is going to be a big investment, so you need to work with a dealership that you can trust. When you stop by to talk with the team at Carson Cars, you can rest assured in knowing that you will always have the best as this is a customer service team that has won awards for their efforts several years in a row. Even if you are not quite sure which model you are after, but you still know that you want to buy a used Ford, all you have to do is stop by the dealership and the sales team will be happy to show you all of the options that are within your price range. 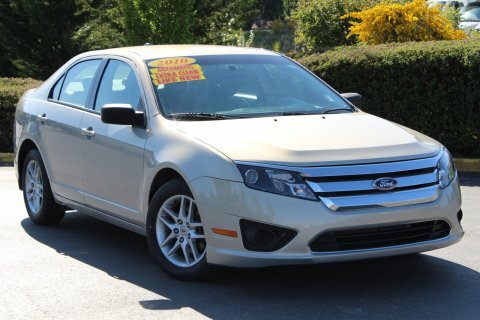 Buy your next vehicle with Carson Cars and shop used Ford cars for sale in Kirkland. Call us (855)583-9356 today for selection and pricing information. If you would like to take a certain Ford out for a test drive, all you have to do is either stop by or contact the sales team about a time so that you can get behind the wheel.